But that doesn't mean you can't fake it a little by adding a touchscreen device to your vehicle. It's not going to help you shoot missiles at crappy drivers on the road, but you'll at least feel a little better on your way home from seeing Skyfall. If you don't have the time to do in-depth installs like this Samsung Galaxy car mod or this iPod nano car-clock replacement, you can still Bondify your ride in no time without cutting into your dash, thanks to Instructables user ftree. All you need is the mobile tablet of your choice, a nice leather case like this one for the Samsung Galaxy Tab 2, and a flat piece of copper. Before doing anything, you should first see if there's a space for the copper plate to slide into it. Not all cars will have a gap for it. Test it out before buying anything. If you can, then get everything. 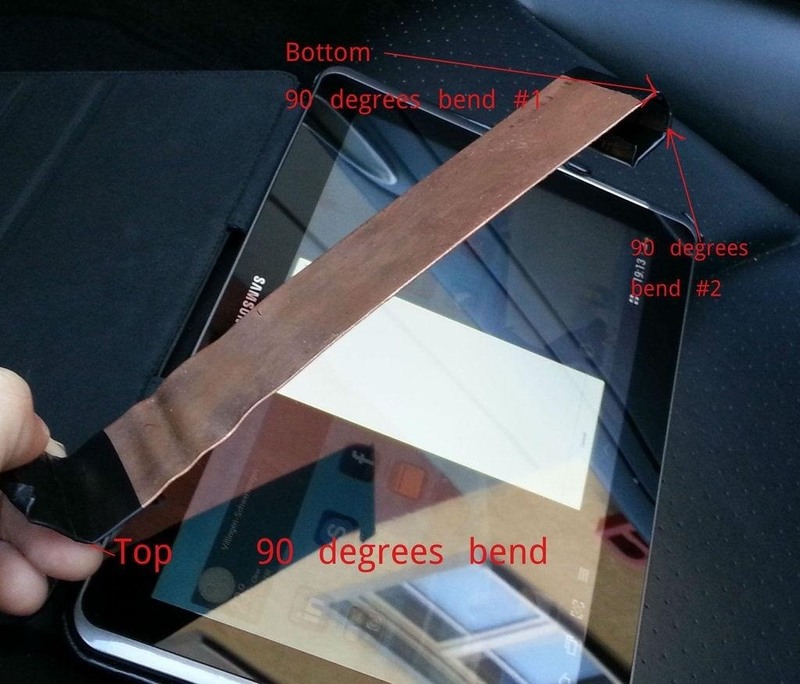 You will need to the bend the ends of the copper strip to fit your tablet snug. The ends should be taped with electrical tape and the corners cut, so as not to damage your tablet. the next step is putting the strip onto your case. 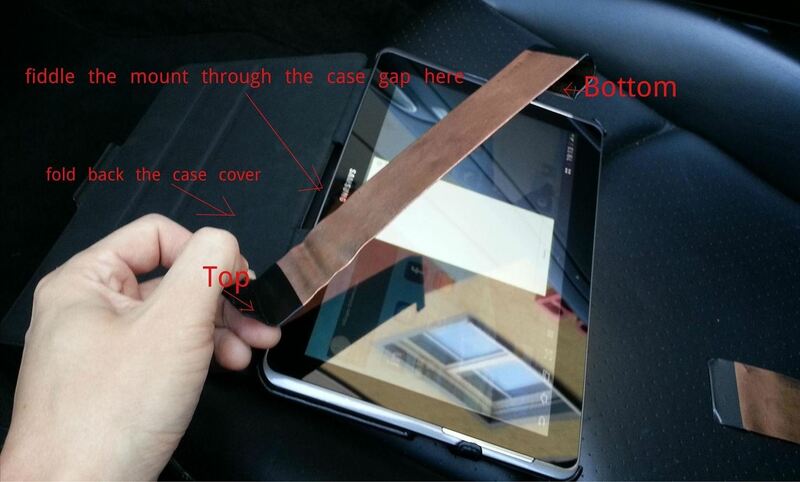 You will slide the strip into the gaps at the top and bottom of the tablet case. 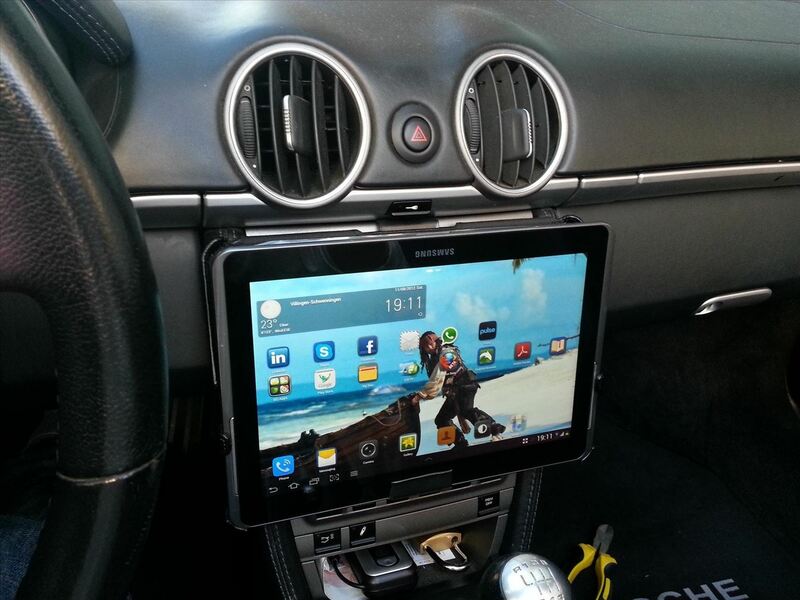 Once you have the strip on the case, you can go ahead and mount your tablet. Mounting and dismounting should be fairly quick and easy. If you have an audio output, you can plug the tablet to your line-in stereo plug (if you have one) and control your music as you would with a smartphone. And if you have Bluetooth connectivity, you can of course use that connection to control your device, as well. 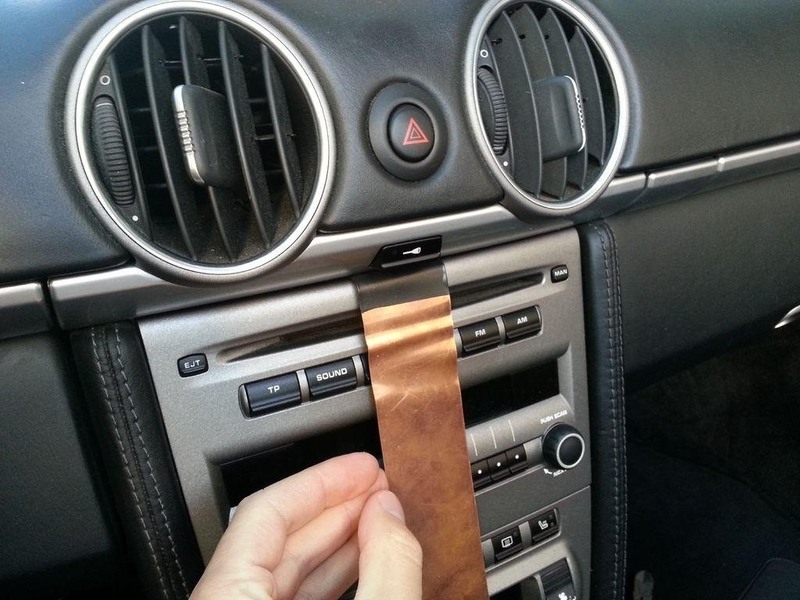 This should work for most tablets, like the iPad or a Samsung Galaxy Note, as long as you've got the space in your dash for the copper to fit, as well as a good enough case. For more details and pictures on this build, check out ftree's full tutorial.